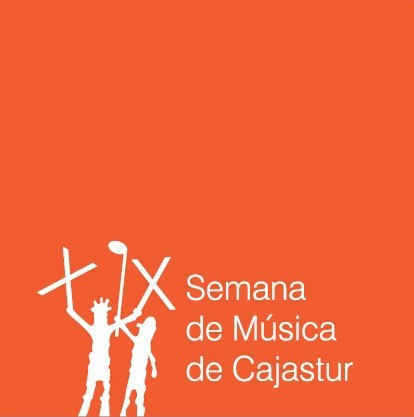 The Music Week, which the Prince of Asturias Foundation organizes together with Cajastur during the week prior to the Presentation of the Prince of Asturias Awards, will commence on Friday 15th October and conclude on 21st October. Music ensembles and soloists of very different genres and styles will perform at this music cycle, which is now in its nineteenth year. Some of the performers are: the Brass Octet, which will perform when the laureates enter the Campoamor Theatre during the Prince of Asturias Awards Presentation Ceremony; the Guitar Quartet Entrequatre; a piano and bagpipe duo; the vocal Sixtet Queen’s Six; and the Portuguese pianist Jorge Moyano. The winners of the “Ángel Muñiz Toca” Final-year Prize for soloists of the Eduardo Martínez Torner Advanced Conservatory of Music also performed at the 19th Music Week. A total of eighteen concerts will be held in eight different towns of Asturias: Oviedo, Gijón, Avilés, Grado, Langreo, Luarca, Mieres and Llanes. The Music Week recitals will be staged at the Cajastur Cultural Centre San Francisco 4 and at the Prince Felipe Auditorium in Oviedo; the Cajastur Pavilion in the Luis Adaro exhibition site, in Gijón; the Municipal Centre of Art and Exhibitions in Ávilés; the Municipal Cultural Centre in Grado; the parish churches in Luarca; La Felguera New Theatre in Langreo; the Cajastur Cultural Centre Jerónimo Ibrán 10, in Mieres and the Santa María Basilica in Llanes. The opening ceremony of the 19th Music Week was held on Friday 15th October in Oviedo, Gijón, Llanes and Mieres. The Entrequatre Ensemble inaugurated the Music Week at the Cajastur Cultural Centre in Oviedo, and performed Spanish and Latin-American music written especially for guitar quartet. They performed pieces by Emiliano Pardo and Luis Barroso, and also the first version for choir and four guitars of the piece “Seis canciones asturianas” (Six Asturian Songs), expressly commissioned by the Prince of Asturias Foundation from the Cuban composer Flores Chaviano . The Cajastur Pavilion in the Luis Adaro exhibition site was the venue for the concert by the Vitali Duo, made up of violinist Wieslaw Rekucki and pianist Tatiana Gelfat, who performed adaptations for viola and piano of songs by George Gershwin, Astor Piazzola and Manuel de Falla. The pianist Manuel Cabo González performed a recital at the Cajastur Cultural Centre in Mieres. The programme focused on Schumann and Chopin, on the occasion of the centenary of the birthday of these great composers. For the first time, the Music Week included a concert for bagpipe and piano by Iñaki Santianes and Sergey Bezrodny at the Santa María Basilica in Llanes. Attendance at all the concerts is free, except the final concert, which is presided by Their Royal Highnesses the Prince and Princess of Asturias and is by invitation only. Oviedo&apos;s Príncipe Felipe Auditorium is the venue for the Music Week&apos;s finale concert on Thursday 21stOctober. The Principality of Asturias Symphony Orchestra, with the Choir of the Prince of Asturias Foundation, will give the concert. Maximiano Valdés will conduct the concert, which will include Richard Wagner&apos;s The Mastersingers of Nuremberg and Haydn’s Mass nº 11 in D minor H. XXII:11 (“Nelson Mass”). The dress rehearsal will take place on Wednesday 20th at 8.30 p.m. and is open to the public. Tickets may be collected from Monday 18th October at the ticket office of the Prince Felipe Auditorium in Oviedo. A maximum of two tickets per person are available. The concerts, which the Prince of Asturias Foundation organizes together with Cajastur, will be held in eight different towns of Asturias. Oviedo's Príncipe Felipe Auditorium is the venue for the Music Week's finale concert on Thursday 21stOctober. The Principality of Asturias Symphony Orchestra, with the Choir of the Prince of Asturias Foundation, will give the concert. Maximiano Valdés will conduct the concert, which will include Richard Wagner's The Mastersingers of Nuremberg and Haydn’s Mass nº 11 in D minor H. XXII:11 (“Nelson Mass”).